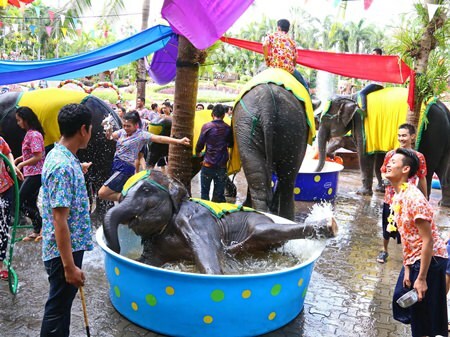 Overheated Pattaya residents and tourists got a lesson in how to beat the heat from the elephants at Nong Nooch Tropical Garden. 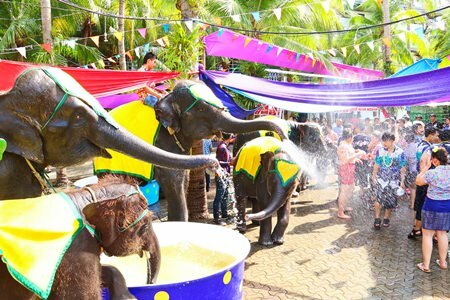 Park Director Kampol Tansajja emceed a May 10 dance show highlighted by water-shooting elephants. 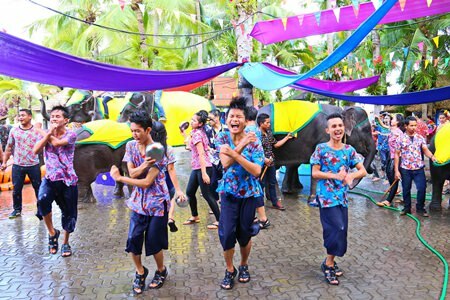 More than 40 of the pachyderms and their mahouts took turns showing off their skills in dancing, spraying water and entertaining guests. 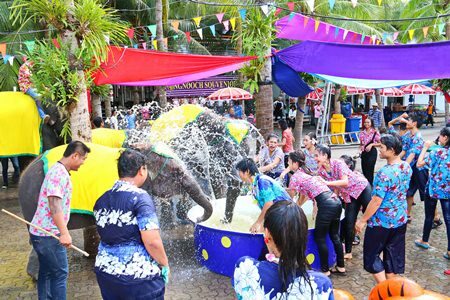 Kampol said the incessant heatwave has made the elephants agitated, so the garden organized some fun activities to cool and relax the jumbos. 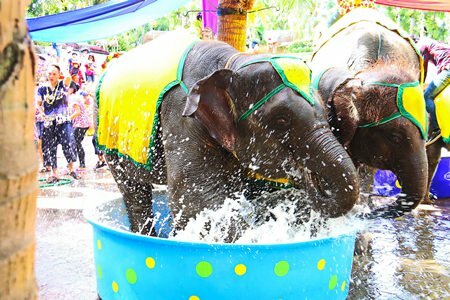 Nong Nooch elephants enjoy a good splash on a hot day. Normally, Nong Nooch keeps its elephants near water sources and under big shade trees to keep them cool. But amid the record heat, this time they brought in dancers and played music to relieve the beasts’ stress and cool them by spraying water. This little one can’t get enough of the cooling water.